Zipp’s new 454 NSW Carbon Clincher is radical by way of design, evolutionary by way of nature. Within the flora and fauna, creatures are honed over generations to reach a aggressive aspect inside of their surroundings. The results of this natural design procedure is adaptation – new shapes and bureaucracy that reach the next stage of potency and keep watch over. 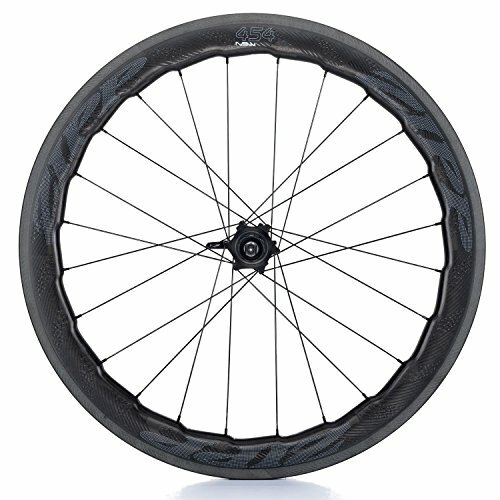 This patented new biomimetic fifty three/58mm-deep rim form achieves one thing standard aero wheels can’t; it concurrently reduces each aerodynamic drag and facet force for without equal in AeroBalanceTM. SawtoothTM accomplishes this with a sequence of patented fin-formed HyperfoilTM nodes alongside the interior diameter of the rim that work at the side of our new HexFinTM ABLC dimples for improved airflow.